In this paper we propose an affordable solution to self- localization, which utilizes visual odometry and road maps as the only inputs. 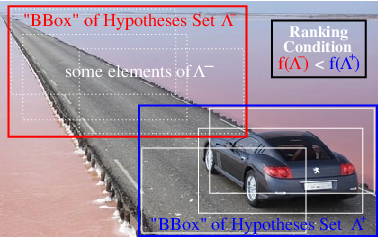 To this end, we present a probabilis- tic model as well as an efficient approximate inference al- gorithm, which is able to utilize distributed computation to meet the real-time requirements of autonomous systems. Because of the probabilistic nature of the model we are able to cope with uncertainty due to noisy visual odometry and inherent ambiguities in the map ( e.g ., in a Manhattan world). By exploiting freely available, community devel- oped maps and visual odometry measurements, we are able to localize a vehicle up to 3m after only a few seconds of driving on maps which contain more than 2,150km of driv- able roads. Visual 3D scene understanding is an important component in autonomous driving and robot navigation. Intelligent vehicles for example often base their decisions on observations obtained from video cameras as they are cheap and easy to employ. Inner-city intersections represent an interesting but also very challenging scenario in this context: The road layout may be very complex and observations are often noisy or even missing due to heavy occlusions. While Highway navigation and autonomous driving on simple and annotated intersections have already been demonstrated successfully, understanding and navigating general inner-city crossings with little prior knowledge remains an unsolved problem. 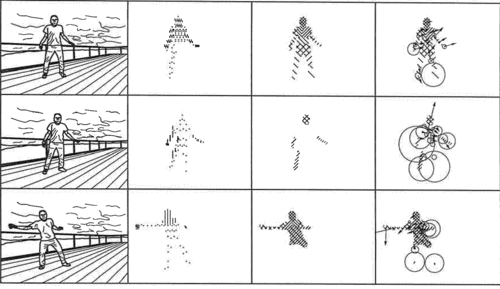 This thesis is a contribution to understanding multi-object traffic scenes from video sequences. All data is provided by a camera system which is mounted on top of the autonomous driving platform AnnieWAY. 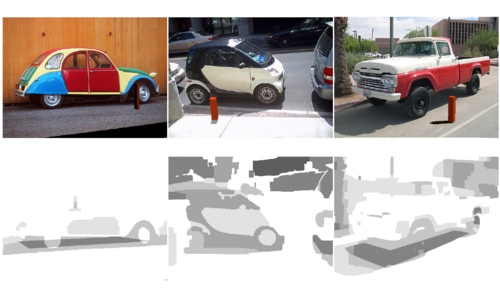 The proposed probabilistic generative model reasons jointly about the 3D scene layout as well as the 3D location and orientation of objects in the scene. In particular, the scene topology, geometry as well as traffic activities are inferred from short video sequences. 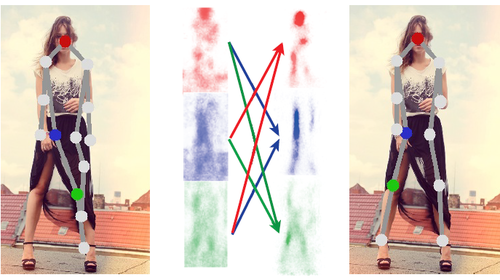 The model takes advantage of monocular information in the form of vehicle tracklets, vanishing lines and semantic labels. Additionally, the benefit of stereo features such as 3D scene flow and occupancy grids is investigated. Motivated by the impressive driving capabilities of humans, no further information such as GPS, lidar, radar or map knowledge is required. 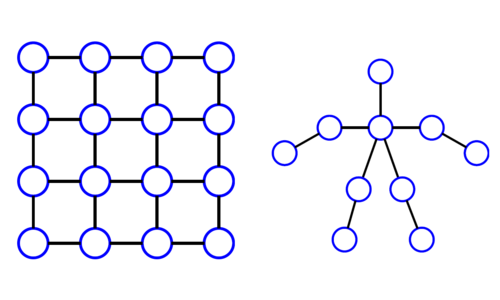 Experiments conducted on 113 representative intersection sequences show that the developed approach successfully infers the correct layout in a variety of difficult scenarios. To evaluate the importance of each feature cue, experiments with different feature combinations are conducted. Additionally, the proposed method is shown to improve object detection and object orientation estimation performance. Matthews, I. A. I. S. T. S. K. S. Y. 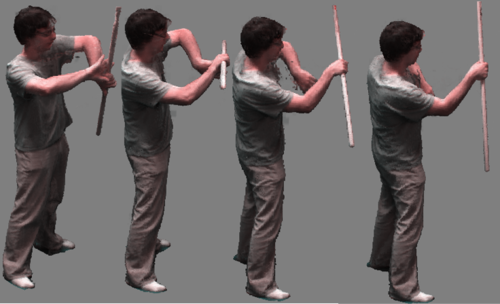 Techniques are disclosed for generating a bilinear spatiotemporal basis model. A method includes the steps of predefining a trajectory basis for the bilinear spatiotemporal basis model, receiving three-dimensional spatiotemporal data for a training sequence, estimating a shape basis for the bilinear spatiotemporal basis model using the three-dimensional spatiotemporal data, and computing coefficients for the bilinear spatiotemporal basis model using the trajectory basis and the shape basis. Pneumoconiosis is an occupational lung disease caused by the inhalation of industrial dust. Despite the increasing safety measures and better work place environments, pneumoconiosis is deemed to be the most common occupational disease in the developing countries like India and China. Screening and assessment of this disease is done through radiological observation of chest x-rays. Several studies have shown the significant inter and intra reader observer variation in the diagnosis of this disease, showing the complexity of the task and importance of the expertise in diagnosis. The present study is aimed at understanding the perceptual and cognitive factors affecting the reading of chest x-rays of pneumoconiosis patients. Understanding these factors helps in developing better image acquisition systems, better training regimen for radiologists and development of better computer aided diagnostic (CAD) systems. We used an eye tracking experiment to study the various factors affecting the assessment of this diffused lung disease. Specifically, we aimed at understanding the role of expertize, contralateral symmetric (CS) information present in chest x-rays on the diagnosis and the eye movements of the observers. We also studied the inter and intra observer fixation consistency along with the role of anatomical and bottom up saliency features in attracting the gaze of observers of different expertize levels, to get better insights into the effect of bottom up and top down visual saliency on the eye movements of observers. The experiment is conducted in a room dedicated to eye tracking experiments. Participants consisting of novices (3), medical students (12), residents (4) and staff radiologists (4) were presented with good quality PA chest X-rays, and were asked to give profusion ratings for each of the 6 lung zones. Image set consisting of 17 normal full chest x-rays and 16 single lung images are shown to the participants in random order. Time of the diagnosis and the eye movements are also recorded using a remote head free eye tracker. Results indicated that Expertise and CS play important roles in the diagnosis of pneumoconiosis. Novices and medical students are slow and inefficient whereas, residents and staff are quick and efficient. A key finding of our study is that the presence of CS information alone does not help improve diagnosis as much as learning how to use the information. This learning appears to be gained from focused training and years of experience. Hence, good training for radiologists and careful observation of each lung zone may improve the quality of diagnostic results. For residents, the eye scanning strategies play an important role in using the CS information present in chest radiographs; however, in staff radiologists, peripheral vision or higher-level cognitive processes seems to play role in using the CS information. There is a reasonably good inter and intra observer fixation consistency suggesting the use of similar viewing strategies. Experience is helping the observers to develop new visual strategies based on the image content so that they can quickly and efficiently assess the disease level. First few fixations seem to be playing an important role in choosing the visual strategy, appropriate for the given image. Both inter-rib and rib regions are given equal importance by the observers. Despite reading of chest x-rays being highly task dependent, bottom up saliency is shown to have played an important role in attracting the fixations of the observers. 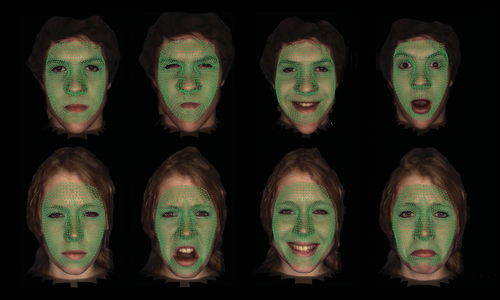 This role of bottom up saliency seems to be more in lower expertize groups compared to that of higher expertize groups. Both bottom up and top down influence of visual fixations seems to change with time. The relative role of top down and bottom up influences of visual attention is still not completely understood and it remains the part of future work. Based on our experimental results, we have developed an extended saliency model by combining the bottom up saliency and the saliency of lung regions in a chest x-ray. This new saliency model performed significantly better than bottom-up saliency in predicting the gaze of the observers in our experiment. Even though, the model is a simple combination of bottom-up saliency maps and segmented lung masks, this demonstrates that even basic models using simple image features can predict the fixations of the observers to a good accuracy. Experimental analysis suggested that the factors affecting the reading of chest x-rays of pneumoconiosis are complex and varied. A good understanding of these factors definitely helps in the development of better radiological screening of pneumoconiosis through improved training and also through the use of improved CAD tools. The presented work is an attempt to get insights into what these factors are and how they modify the behavior of the observers. 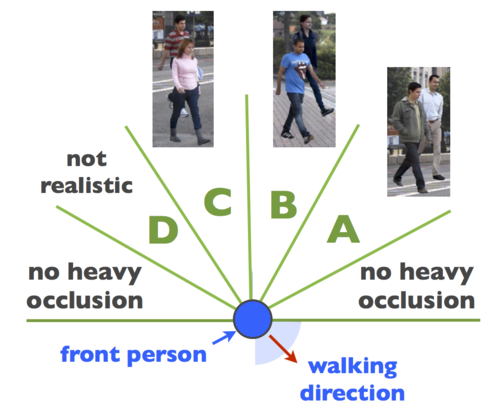 Ulusoy, A. O., Biris, O., Mundy, J. L.
This paper presents a probabilistic volumetric framework for image based modeling of general dynamic 3-d scenes. The framework is targeted towards high quality modeling of complex scenes evolving over thousands of frames. Extensive storage and computational resources are required in processing large scale space-time (4-d) data. 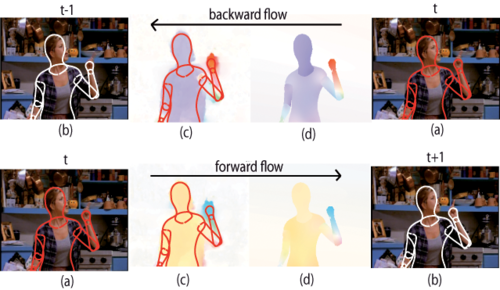 Existing methods typically store separate 3-d models at each time step and do not address such limitations. A novel 4-d representation is proposed that adaptively subdivides in space and time to explain the appearance of 3-d dynamic surfaces. 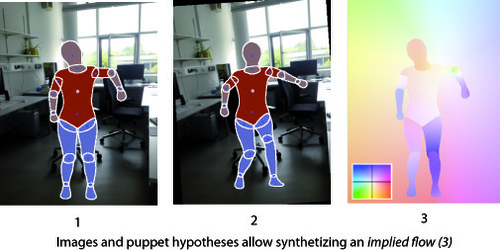 This representation is shown to achieve compression of 4-d data and provide efficient spatio-temporal processing. 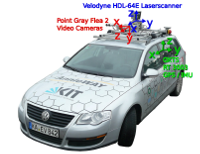 The advances of the proposed framework is demonstrated on standard datasets using free-viewpoint video and 3-d tracking applications. 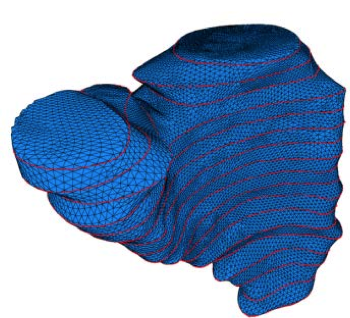 Zeng, Y., Wang, C., Gu, X., Samaras, D., Paragios, N.
Wang, C., Zeng, Y., Samaras, D., Paragios, N.
We propose an automatic algorithm for the reconstruction of a set of patient-specific dynamic cardiac mesh model with 1-to-1 mesh correspondence over the whole cardiac cycle. 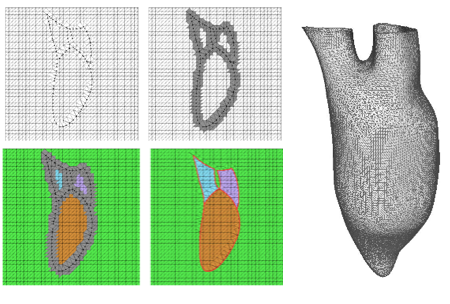 This work focus on both the reconstruction technique of the initial 3D model of the heart and also the consistent mapping of the vertex positions throughout all the 3D meshes. This process is technically more challenging due to the wide interval spacing between MRI images as compared to CT images, making overlapping blood vessels much harder to discern. 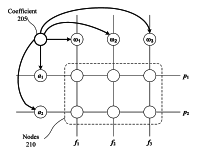 We propose a tree-based connectivity data structure to perform a filtering process to eliminate weak connections between contours on adjacent slices. The reconstructed 3D model from the first time step is used as a base template model, and deformed to fit the segmented contours in the next time step. Our algorithm has been tested on an actual acquisition of cardiac MRI images over one cardiac cycle.